We invite you to worship with us at Advent this week as we celebrate Christmas! Our first Christmas service is the Traveler’s Christmas worship service at 6:30pm this Wednesday, December 21. If you will not be in town for the Christmas Eve or Christmas Day services on Saturday and Sunday, we invite you to celebrate Christmas with the Advent community on Wednesday instead. Even if you do plan to worship with us on Christmas Eve or Christmas Day, this service will continue the reflections on Martin Luther's Christmas Book from our Wednesday Evening Worship series. 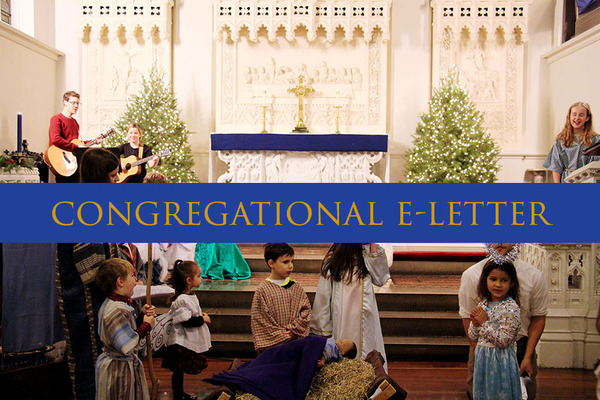 Pastor Ann will share a reflection on "The Nativity," and the Advent Chorale will share a musical offering. Our Christmas Eve worship services are this Saturday, December 24, at 5pm and 8pm in English and at 10:30pm in Spanish. The 5pm service is more family-friendly, while the 8pm service is candlelight, has a more contemplative feel, and will include a musical offering by the Advent Chorale accompanied by harp. The 10:30pm service is in Spanish and also candlelight. Of course, everybody is welcome to any service they choose to attend and the Advent community will embrace all worshipers with open arms. Christmas Day falls on a Sunday this year, so our worship services will not be held at the usual times. Our Christmas Day worship services are this Sunday, December 25, at 10am in English and at 12pm in Spanish. We are so excited to bring our church to life on Christmas Day and see the Advent community imbued with the spirit of the season. We hope to see you there! 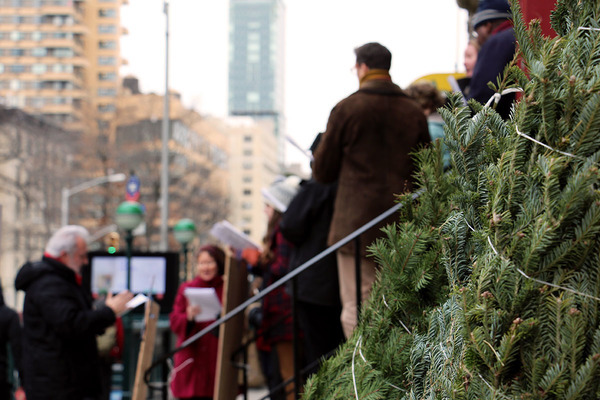 In addition to joining Advent for worship on Christmas morning, you are also welcome to carol with us on our front steps. Christmas Day Caroling will be from 11am to 12pm on our front steps this Sunday, in between our Christmas Day worship services. This is the first time that Advent has held a caroling event on Christmas Day, and we are ready to show our neighborhood how joyful we are in the Christmas season. So, put on some mittens and a warm scarf to come sing some of your favorites with us. Whichever events you decide to attend, we are thrilled to be sharing the Christmas spirit with you and the community around us as we celebrate the coming of Jesus. We wish you a happy end to the Advent season and a merry Christmas! 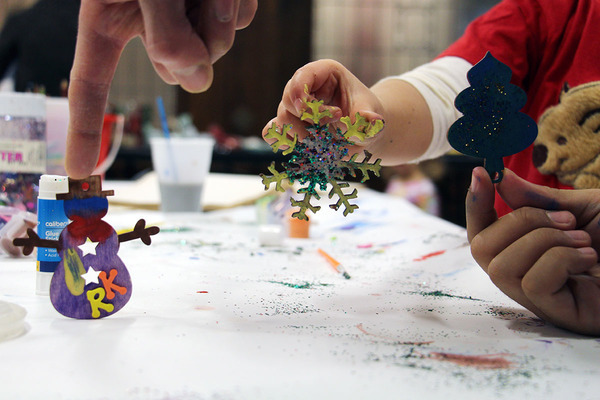 We've updated our Advent season photo album with new pictures from our Las Posadas service, Ornament Decorating Social, and Santa Lucia Special Coffee Time. Check them out! The festivity of the season is not over! Don't miss this special Epiphany season celebration. Mark your calendars for our Three Kings Celebration at 12pm Sunday, January 8! This is an awesome opportunity for our English-worshiping members and Spanish-worshiping members to celebrate part of the Christmas story together, so come take part. The Three Kings Celebration is a tradition in many Latino cultures, and Three Kings Day is a liturgical holiday for all Lutherans and Christians. Here at Advent, our Three Kings Celebration includes a big potluck lunch for all, a piñata filled with candy for the kids, a special cake, the singing of traditional songs, and a visit from the three kings (yes, we've got the costumes). It's going to be a lot of fun! Join us! Our Wednesday Evening worship services will continue into the Christmas and Epiphany seasons this year. Join us at 6:30pm on December 28, January 4, and January 11 to hear three more reflections from various Advent leaders on Martin Luther's Christmas Book, and sing music from Holden Evening Prayer at these candlelight evening services. 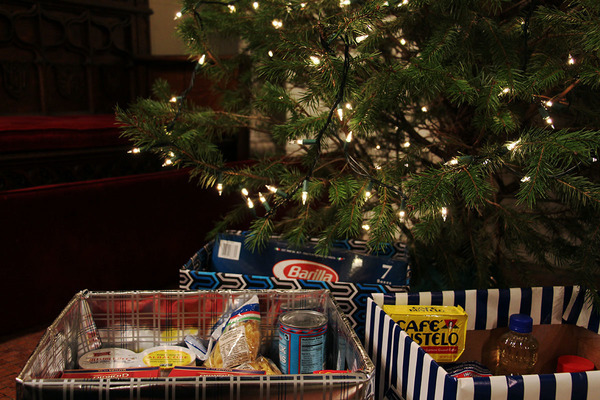 Instead of collecting donations for poinsettias during the Advent season, we collect donations of canned and nonperishable food and money supporting life-sustaining food ministries. There's still two weeks left to contribute. For two more weeks, we invite you to bring any canned or nonperishable foods to worship on Sunday or to our office between 10am-5pm Monday through Saturday. We'll add it to decorative containers at the front of the sanctuary as an offering. We shared some of the early food offerings at our Food Pantry on December 3, and will share the rest with 100+ neighbors in our community at our Food Pantry on January 7.